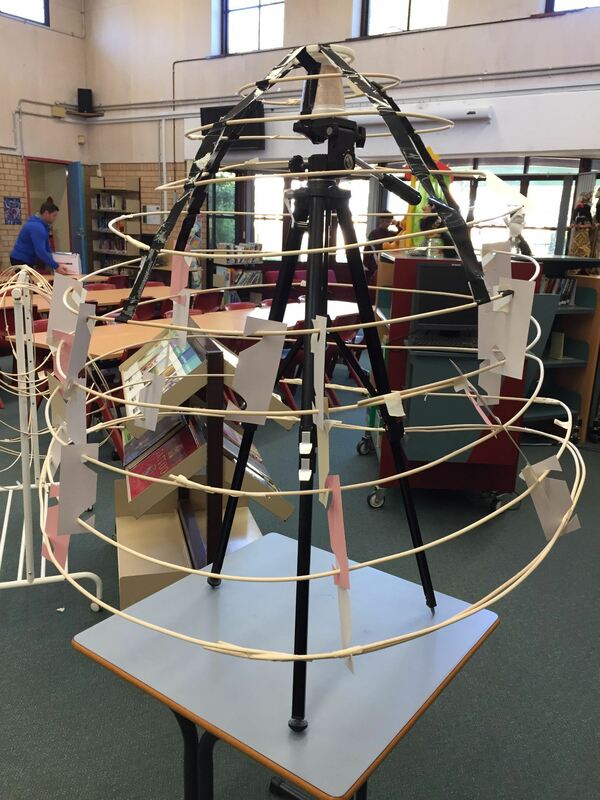 The next phase of the construction was to make the concentric rings that are the skeleton of Totoro. 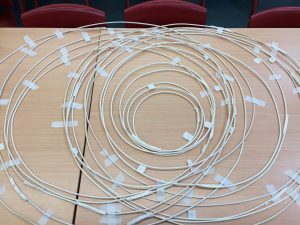 Using the calculations I made with the full size plan, all 16 rings were created by measuring the length of the circumference, adding a palm width of cane for overlap and using masking tape to hold the ring closed. I did run into several issues with the cane. When it arrived, the cane was very tightly coiled. 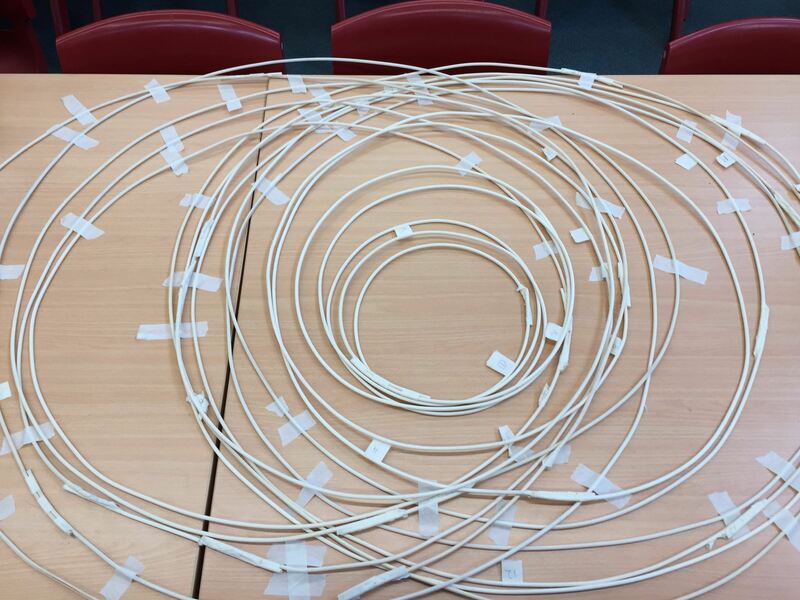 When creating the largest rings, the rings would distort and not lie flat. We tried putting the rings under weights overnight, which did help some of the rings to lie flat-ish. Some rings also responded to hand manipulation of forcing the cane to bend in the opposite direction, but we always risked snapping the cane. The other challenge I had to address was how to suspend the cane rings from the backpack frame. Adam Savage used a wooden ring bolted to his backpack frame. I don’t have access or expertise in using wood to make a ring, but I do have access to 3D design software and a 3D printer. I designed a circular disc with a section that inserts into the pvc mast. By using gaffer tape, the rings are suspended from the main disc. 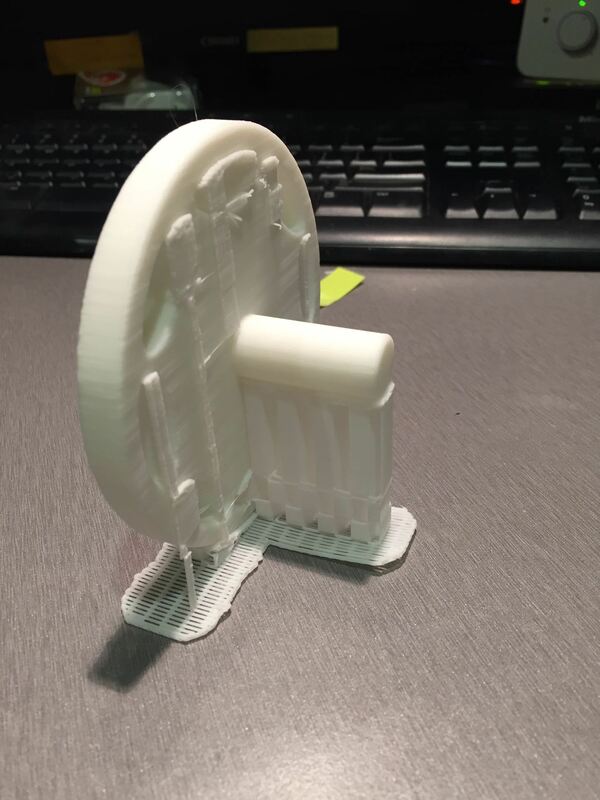 Support disc midway through 3D printing. Finished support disc just out of the 3D printer. Hanging the cane rings from the support disc. The finshed cane skeleton of Totoro.